As I watched the sun set over the Castle of St. Peter, I thought “this is my kind of place” – with the history, natural beauty and great weather all coming together perfectly. For a map of places visited in Turkey, click here. 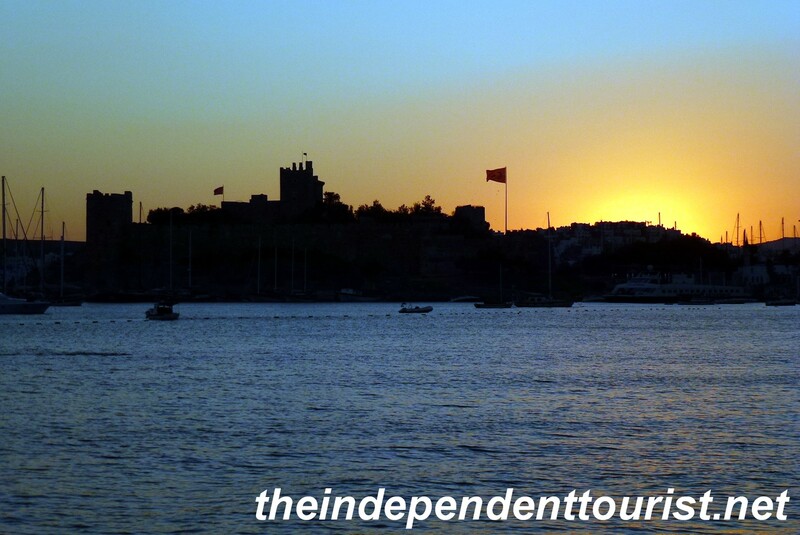 The sun sets over St. Peter’s castle in Bodrum. The city of Bodrum and the Bodrum peninsula are on the southwest coast of Turkey, with many beautiful coves, beaches and historic sites. No wonder this is a hot spot with well-heeled Turks. 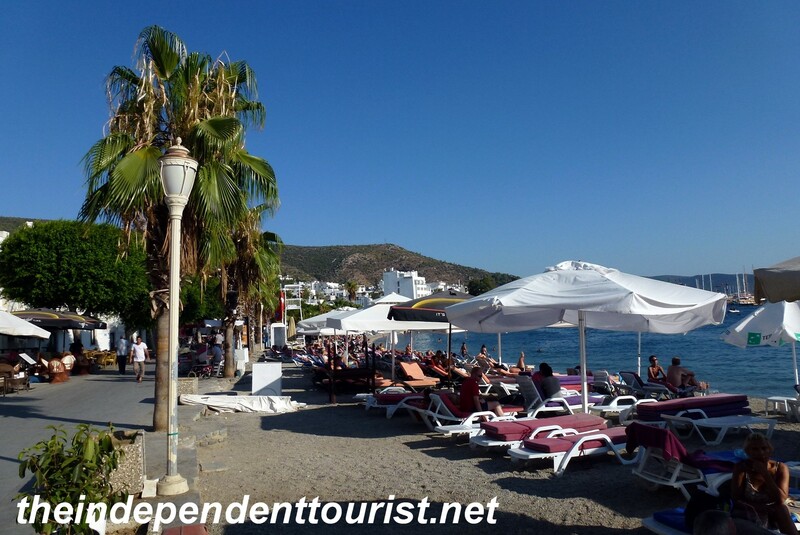 A view of the beach at Bodrum. 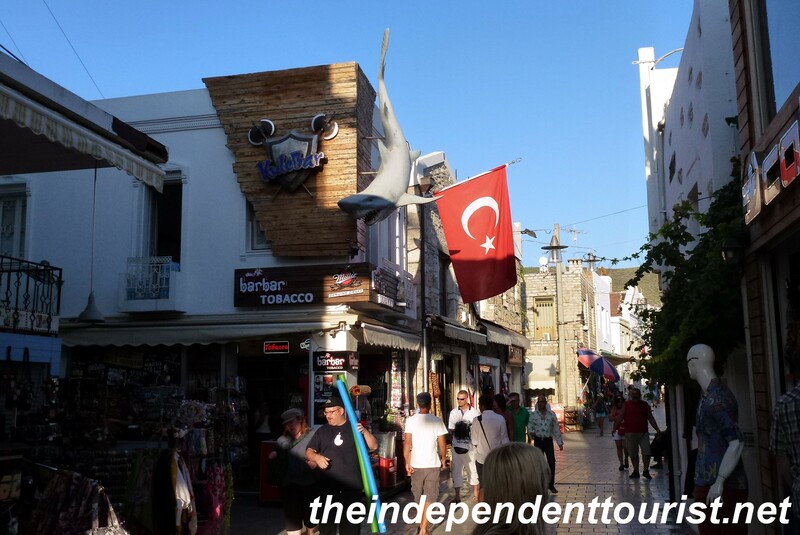 As with many locations we visited, it would be easy to make Bodrum your base for a week or more to take advantage of all the things to see and do—water sports, day long cruises to nearby islands and beaches, start (or end) a 3-4 day gulet (wooden sailboat) cruise along the southern coast, visit ancient ruins in the town of Bodrum, or hike around the intriguing brackish Lake Bafa with its ancient and Byzantine ruins nearby, and take (long) day trips to the Roman ruins of Ephesus and Hierapolis if desired. A street scene in Bodrum. The history of Bodrum dates back to ancient times, and it lays claim to one of the ancient world wonders, the Mausoleum (355 BC, named for King Mausolus) which stood nearly intact for 1,900 years until the crusaders decided (very unfortunately) that the ancient stone would make great building blocks for things like St. Peter’s Castle. The view of the harbor and Castle of St. Peter from our hotel. Our hotel (Angora) had a rooftop pool with a great view of the harbor and Castle of St. Peter. The only downside of the hotel was the Halikarnas disco next door, with music blaring until the wee hours of the morning. This is a hot spot with many locals coming here to party. There are beaches right in and near the town and the pedestrian walkway along the shore makes an enjoyable stroll with many restaurants and shops. 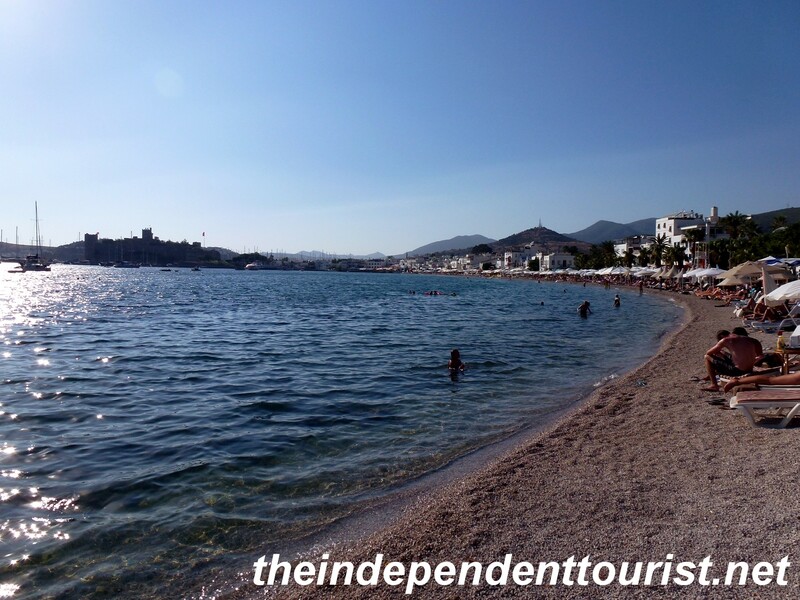 The beaches of Bodrum, right next to many restaurants and shops. 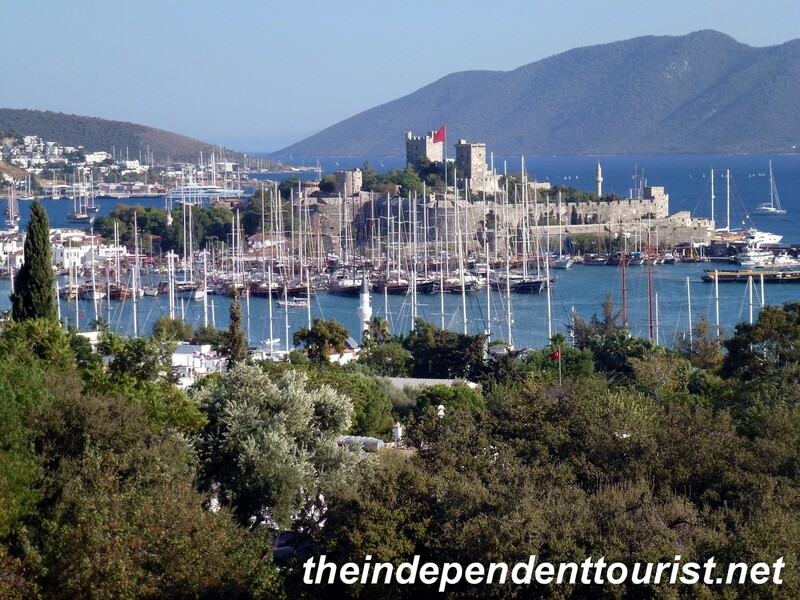 The main sight in Bodrum is the Castle of St. Peter, which sits on an isthmus dividing the two main bays of Bodrum. 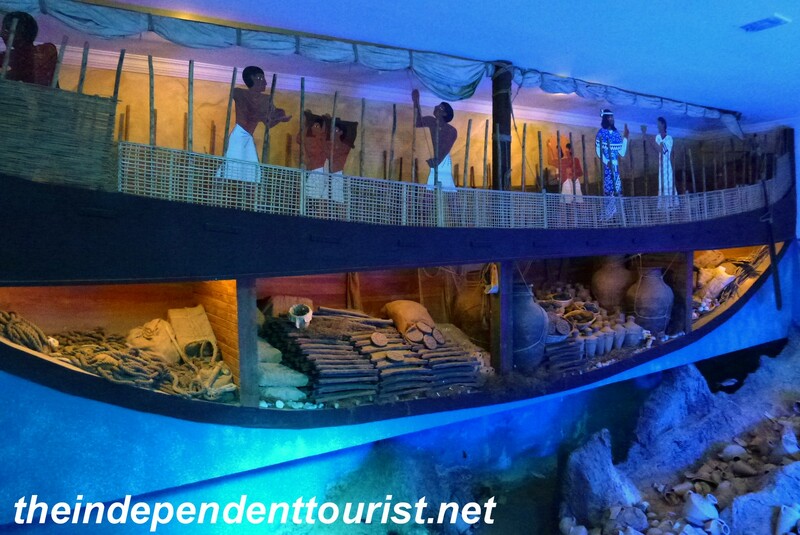 From the shipwreck, scientists have reconstructed what this 14th century BC ship must have looked like. 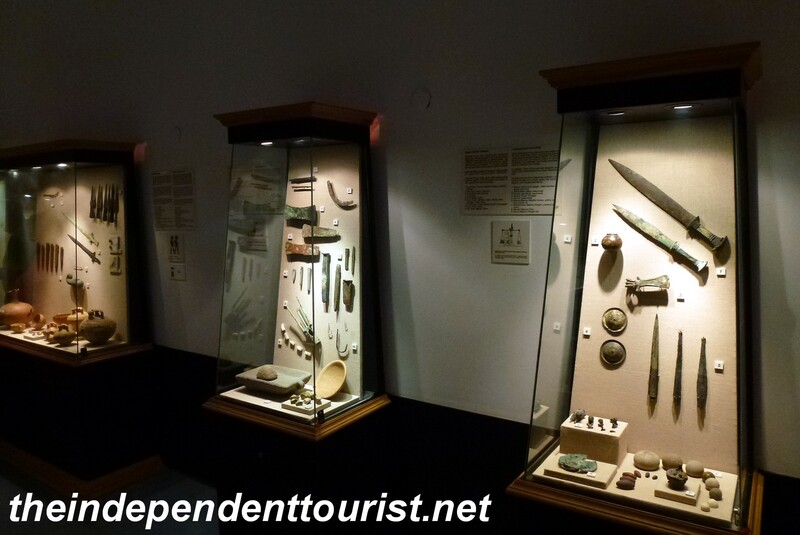 One of the many displays of artifacts from ancient shipwrecks in the Castle museum. The castle was built by the Knights of St. John in 1406, and now houses a very good maritime museum, with all kinds of treasures (coins, glassware, gold, weapons, etc.) found in area shipwrecks including the oldest shipwreck ever discovered (14th century BC). Some rooms (such as the English Tower) are decorated from the medieval period. The castle entry fee was 20 TL per person (about 1.8 TL per USD). 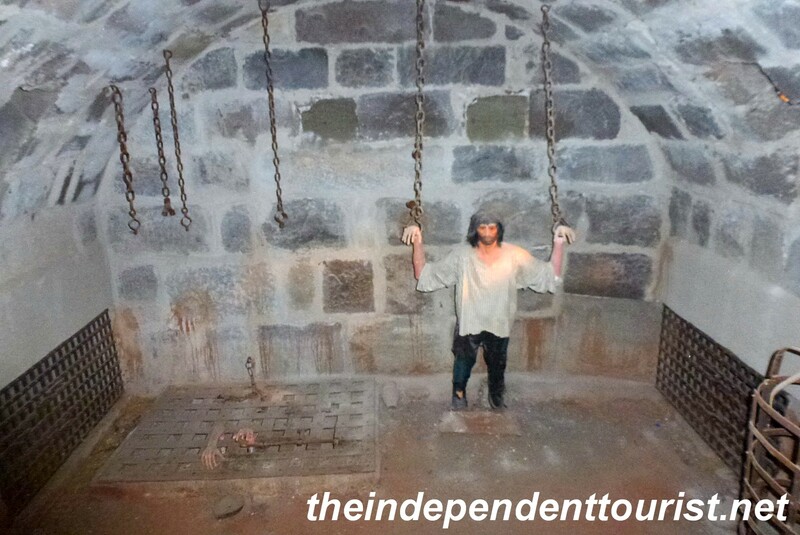 The dungeon of the castle, way down a dark set of steps – note the poor fellow with his arms out of the grate in the floor–not a fun place to be. 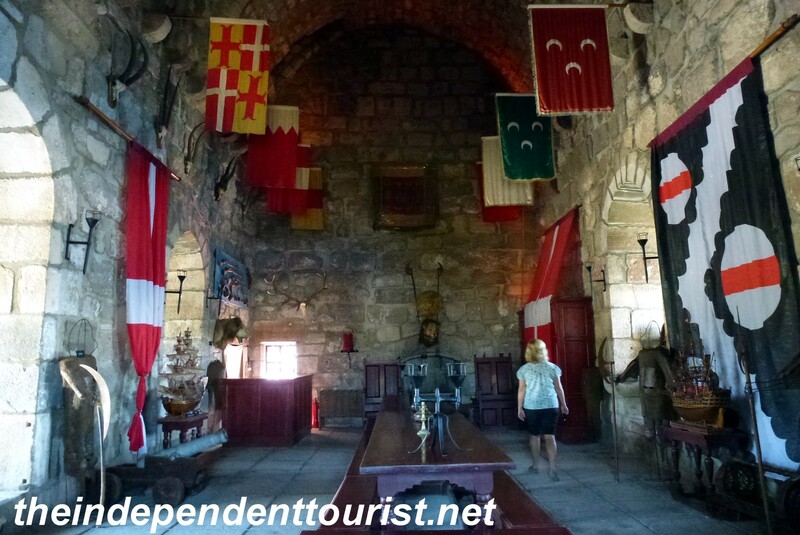 The interior of the English Tower at the Castle of St. Peter. Add Bodrum to your must do list of places to visit in Turkey. 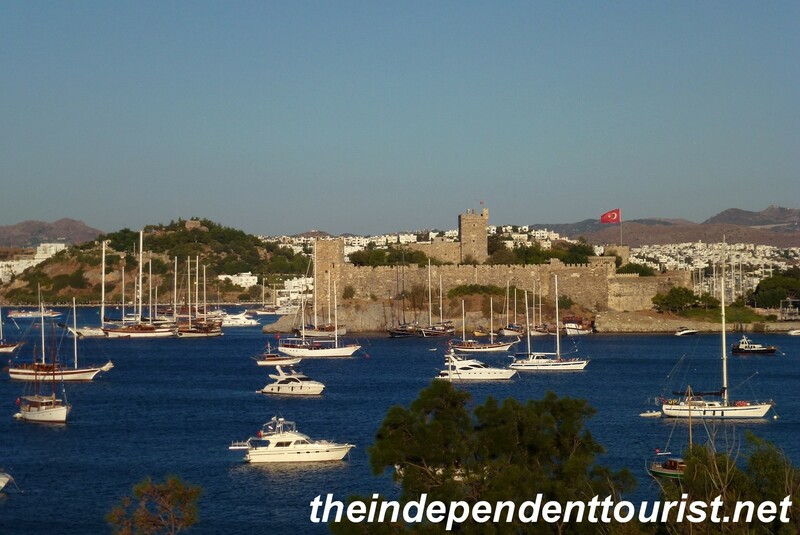 Posted in Turkey and tagged Bodrum, Bodrum Peninsula, Castle of St. Peter, Turkey Travel on June 2, 2013 by Paul Terry.